Chai, poverty alleviation. I pray say Daddy Freeze TitheAgainstPoverty initiative will get some people as soon as possible oo. 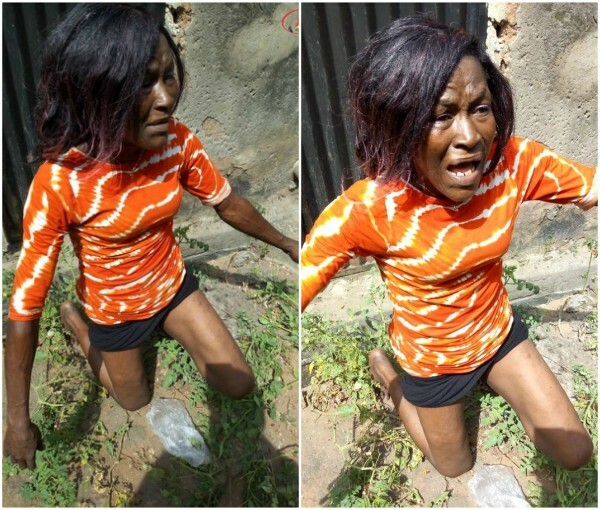 This 35 years old female pickpocket ran out of luck today, as she was nabbed while trying to steal from a man in a tricycle along Enugu road by Abiriba Street in Umuahia, Abia state. The 35-year-old lady who confessed to being in the business for almost 2 years, said she started off in Onitsha before coming down to Abia state. ABN reports that the lady who was beaten by mob was handed over to policemen from CPS Umuahia for proper investigation.